The challenging economic environment over the last several years has caused many municipal projects to fail or be canceled. Still, notable successes have been achieved when knowledgeable public officials, developers and financial partners have come together to provide winning deal structures. To advance such creative partnerships in the public interest, the ASU School of Public Affairs is proud to present the 2013 Municipal Finance Challenge. During the March 21-22 event, in Phoenix, speakers from teams nationwide that have creatively financed and successfully implemented municipal projects will break down the core principles of municipal finance, share best practices and project successes, and explain how to assess risks. The national conference is the second of the school’s annual Financial Markets Boot Camp series. It will be held at the Sheraton Downtown Phoenix Hotel, and is dedicated to public officials, practitioners and academics committed to advancing the field and practice of municipal finance and development. Program highlights include learning about Oklahoma City’s success financing more than $2.4 billion of capital improvement projects using temporary sales taxes and citizen involvement, as well as ASU’s innovative financial partnerships with the cities of Phoenix and Tempe, and the public sector, to enhance education and business opportunities. Representatives from the Durham Performing Arts Center in Durham, N.C., and the Overton Hotel and Conference Center in Lubbock, Texas, also will be on hand to share their experiences creating successful deals. The opening keynote address will be presented by Jonathan Koppell, dean of the College of Public Programs and director of the school. In it, he will set forth the challenge to conference attendees to learn from the leaders and innovators in municipal finance, and tap into today’s best thinking for structuring a range of municipal finance deals. He added that the conference will offer opportunities for dialogue with experts from the public and private sectors, including Jay Goldstone, chair of the Municipal Securities Rulemaking Board, and an alumnus of the School of Public Affairs’ master’s program in public administration. 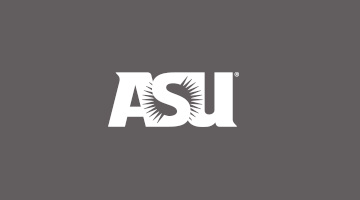 ASU president Michael Crow will deliver the luncheon keynote address. Other presenters include key players in municipal finance for economic development, public-private partnerships and infrastructure development, such as: Gabriel Petek, senior director at Standard & Poor’s State and Local Government Group; Kurt M. Freund, managing director of municipal finance for RBC Capital Markets, LLC; Matthew Jones, senior vice president at Moody’s Investors Service; James D. Couch, city manager of Oklahoma City; and Ray Garfield, president of Encore Garfield Public/Private LLC. “Government officials understand that their financing choices are under scrutiny on multiple fronts in today’s economic environment – but they also recognize that their communities have crucial public infrastructure needs that can only be met by accessing the capital markets,” said conference co-chair Michael Stanton, publisher of The Bond Buyer, the municipal bond market’s daily news source. Additional information about the Municipal Finance Challenge is provided at spa.asu.edu/municonference.